♦ What is a ‘case’? ♦ Bu yana, dolayı, sonra etc. ♦ What is the present tense? ♦ When to use present tense? ♦ How to say ‘what’s up’? ♦ â (şapkalı a) and how to type it. ♦ Hayatta en hakiki mürşit ilimdir. ♦ Question Form: Var mı? / Yok mu? ♦ How to use Future tense? ♦ How to form Aorist? ♦ How to say illiterate and literate in Turkish? ♦ Teşekkür ederim / Rica ederim! ♦ What is conjunction in Turkish? ♦ Diğer taraftan, yoksa, çünkü etc. You can learn helpful tips about Turkish Grammar on this page. We all know that learning grammar only can be boring. New techniques focus on different methods without grammar teaching. However, grammar always helps you a lot. We are grown ups and we have a higher mental capacity than children. Using grammar knowledge effectively make a great amount of progression. Each topic has its short summary below. 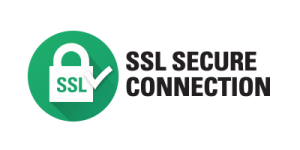 To see detailed, click on the title. There are some basic grammar rules that will make your life easier when learning Turkish. Two vowels or two consonants rarely follow each other. Vowels from a specific type need to proceed the same type of vowels. Consonants from a specific type need to proceed the same type of consonants. If you are attaching a suffix to a proper noun, you’ll need to use an apostrophe to separate the suffix from the word. Non-continuant voiceless consonants (p,ç,t,k) tend to go voiced because it’s easier to say! There are three different buffer letters: ‘y’,’n’ and ‘s’. They prevent two vowels to come after each other. New techniques focus on different methods without grammar teaching. However, grammar always helps you tremendously. We are grown ups and we have a higher mental capacity than babies. Also, we do not learn the same way that babies do. Using grammar knowledge effectively make a great amount of progression. Mastering Turkish grammar is only possible if you know the Turkish suffixes, and how to attach them to each other. Turkish suffixes can be learned by hard studying but attaching them, finding the correct vowel/consonant is something else. Vowel and consonant harmonies decide which vowel or consonant need to be attached. Thinking fast while attaching the suffixes (doing it automatically) is a must to speak Turkish fluently. Check level 3 for more suffixes. This authoritative work investigates Turkish grammar in every aspect. 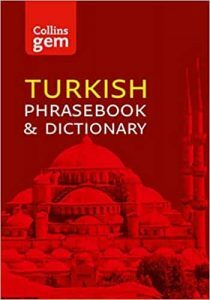 Studying Turkish grammar with it can be challenging in the elementary stages but this is a book that you must have in your studying repertoire. 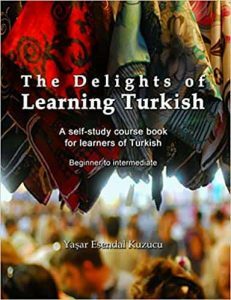 This is a self-study course book that introduces Turkish grammar with examples, dialogues and exercises. It takes the learners from the beginner level to the intermediate level. At the end of the book, you can also find a glossary section. 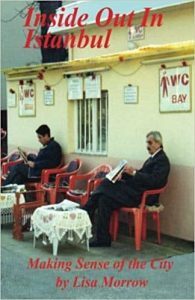 “You will never be lost for words in your travels around Turkey again” can describe this book very clearly. You can find important tips for your travels and 3000 words that you may use during your trips to Turkey. 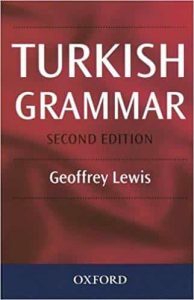 This book enables learners to gain basic abilities and understanding of Turkish grammar. 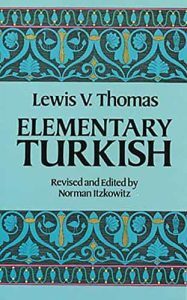 It is written by Lewis V. Thomas who is a professor at Princeton University and revised by Norman Itzkowitz to update for the modern Turkish. These questions are prepared to decide which level of Turkish you have. According to your score, you can understand at which level you should start studying. Please choose ‘I don’t know‘ if you do not know the answer of the question. Find out your level of Turkish. Please translate the following sentence into Turkish: "I'm going to Taksim from the hotel". Choose the correct translation of this sentence: "We need two breads". Choose the correct translation of this sentence: "When I'm not sick, I generally go for a walk". Hasta olacağım zaman, genelde yürüyüşe çıkarım. Hasta olduğum zaman, yürüyüşe çıkarım genelde. Hasta olduğum zaman, yürüşe çıkarım genelde. Hasta olmadığım zaman, yürüyüşe çıkarım genelde. Choose the correct translation of this sentence: "I was going to call you but I forgot".